Today's monitor market offers a wide variety of sleek, attractive designs that look great on any desk. However, a large portion of these completely lack VESA mount compatibility, and as a result, cannot be mounted to a different stand or wall mount that may be needed for clean multi-monitor setups or simply better ergonomics. And if a compatible adapter is not available, mounting one of these monitors is basically impossible. Until now, that is! The VIVO STAND-VAD1 VESA mount adapter allows you to mount most monitors without VESA compatibility to a monitor stand or wall mount at an affordable price! This adapter will fit practically any LCD or LED monitor with a bezel height from 11.5" to 19.2" and overall thickness from 1" to 2.75", or generally, most widescreen monitors from 20" to 30". The adapter is designed to fit any VESA monitor mount with 75x75 and 100x100mm mounting holes, and includes all required screws and other hardware for assembly. The matte black finish blends well with the look of most monitors and matches many of our mounts, and the simple, lightweight design will give you a nice clean setup. Tough steel and heavy duty plastic construction ensure long lasting quality and reliability to support your monitor. 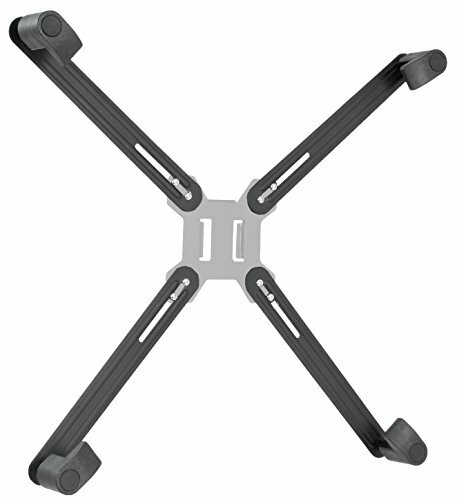 Supports practically any LCD or LED monitor 20" to 30"
Bezel height from 11.5" to 19.2"